As part of its £132 million Interchange transport scheme, a modern bus station will soon be supported by a new state-of-the-art railway station. The Curzon Investment Plan is an ambitious 30-year strategy to unlock and regenerate the 141 hectares of land around the planned HS2 Curzon Street Station. This £500 million transformational development is part of Birmingham city centre’s Enterprise Zone, one of the largest and most ambitious Enterprise Zones in the UK. At 71 hectares and with the potential to accommodate around 265,000 sq m of new industrial floorspace, it is one of the UK’s most significant industrial opportunities. A £500 million plan to regenerate this 14 hectare site will deliver over 300,000 sq m of floorspace, 2,000 new homes and 3,000 new jobs. A computer-generated image from the Snow Hill Masterplan showing major changes to the station. 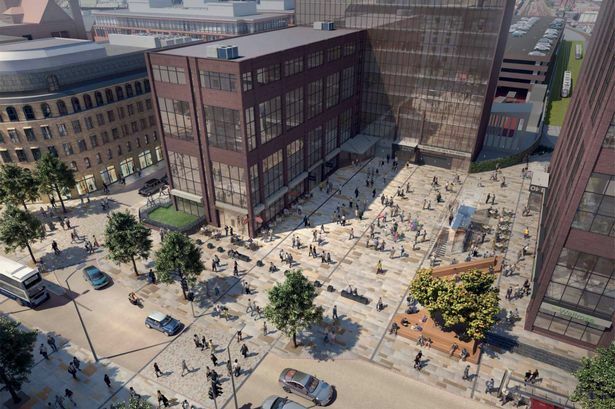 Its masterplan provides a framework to generate over 200,000 sq m of office space in Birmingham and boost the economy by more than £600 million a year. A new masterplan outlines the potential for up to 1,400 new homes, over 70,000 sq m of new office space and 11,000 sq m of commercial and leisure space. A 20-year growth plan outlines its potential to add £4.1 billion GVA to the local economy, create 77,500 new jobs and generate 775,000 sq m of development land. The £200 million redevelopment of a key property portfolio around Typhoo Wharf in Birmingham city centre is expected to create at least 1,000,000 sq ft of development. The scheme will be one of Britain’s biggest ever brownfield site regeneration programmes, covering more than 1,500 hectares.